Just 7 k.m. away from the Malvan city, this place is the most developed tourist destination in Sindhudurg District. Maharashtra Tourism Development Corporation (MTDC) has turned this place into a most popular tourist destination in Sindhudurg from an unknown village. Very clean-n-long beach and adjacent creek makes Trakarli a Picture perfect destination. Trakarli beach has a Tent resort and also well furnished small-little individual bunglows built by MTDC amidst the Suru ban (Suru trees plantation). Sea is just 200 mtrs away from here and it’s a great pleasure to spend a night at this place by seaside. Tourists boats are available to take round in the creek. You can also request to take a tour at unmanned small islands approximately 10 kms from the beach. Dolphin sighting is one major attraction in this sea. 5 kms away from Trakarli is another tourist designation called “Devbaug”. 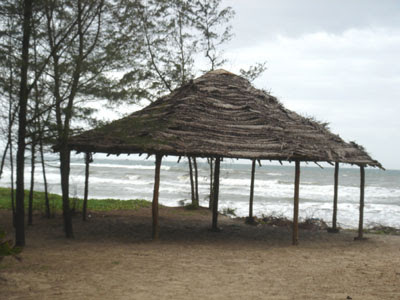 Long beautiful beach, Fisherman’s community and Suru bans (Suru Trees) are the major attractions in this region. The place where Karli river meets sea is also absolutely stunning. One can go to Devbaug by boat from Tarkarli. This journey is very pleasant. Fishermen catching fishes in shallow water, deep blue water, egrets waiting to catch a fish all this looks so lively and splendid. Foreign tourists coming by Deccan Odessy travel to a place called Valaval via Tarkarli to enjoy the natural beauty of this place. They say that the scenic view one gets to see here is comparable to Switzerland.